Chronic absenteeism – defined as students missing 10 percent or more of the school year for any reason – is a big problem in Arkansas. Time lost in the classroom has a direct impact on students’ academic progress, especially reading proficiency. 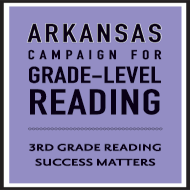 The Arkansas Campaign for Grade-Level Reading (AR-GLR) and Arkansas Advocates for Children and Families (AACF) co-authored a new report, “Make Every Day Count: Reducing Chronic Absence in Arkansas Schools.” AACF’s analysis of data from the Arkansas Department of Education (ADE) found that more than 12 percent of Arkansas students in kindergarten through third grade missed 18 or more days of school in 2014-2015. Our state’s chronically absent elementary school students could fill up every seat in Little Rock Central High’s football stadium. Angela Duran, director of AR-GLR, says chronic absence is highest in kindergarten and first grade, when students are learning the building blocks of reading and setting the stage for all future learning. “Students who miss a month or more of school in the early grades are less likely to read on grade level by third grade,” she says. 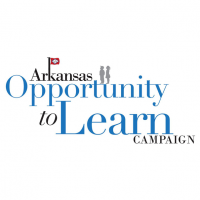 “Chronic absenteeism is widespread in Arkansas, and it has a significant impact on our state’s educational outcomes,” adds Ginny Blankenship, AACF’s education policy director and editor of the report. “Chronically absent students struggle to catch up for the rest of their years in school. Other research has found that these students are more likely to drop out and less likely to pursue higher education and find good-paying jobs. Chronic absence starts early: According to the data analyzed, kindergarteners were significantly more likely to be chronically absent than students in third grade (16.18 percent vs. 10.32 percent). Chronic absence is worse among certain schools: In 2014-2015, 25 percent of chronically absent students were concentrated in 52 of the state’s schools. Chronic absence is worse among third graders who are economically disadvantaged or have special needs: These combined groups accounted for more than 30 percent of the state’s chronically absent third graders in 2014-2015. Hispanic students are the least likely to be chronically absent: Only nine percent of the state’s chronically absent third graders in 2014-2015 were Hispanic, compared to 12 percent of white third graders and 14 percent of African-American third graders. Chronically absent third graders are less likely to read on grade level: Only 20 percent of third graders who were chronically absent in 2014-2015 were reading on grade level. 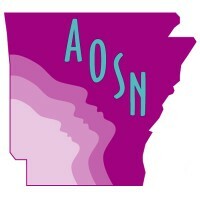 Several schools around the state have partnered with the AR-GLR and Attendance Works to implement simple strategies to identify and address chronic absence. 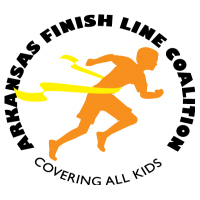 These three partner schools – Marvell-Elaine Elementary in the Delta, and Monitor and Parson Hills Elementary schools in Northwest Arkansas – now serve as shining examples of how other schools can implement change. Details of the schools’ challenges and success strategies are included in the report, as well as recommendations for policymakers to make an impact at the state level. 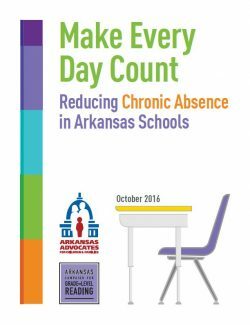 Download the full report to learn more about the impact of chronic absences in Arkansas schools.